Following reports that the Chrome team was working on a dark mode for the macOS version of the browser, it looks like the Windows 10 version of the browser will get the same treatment. 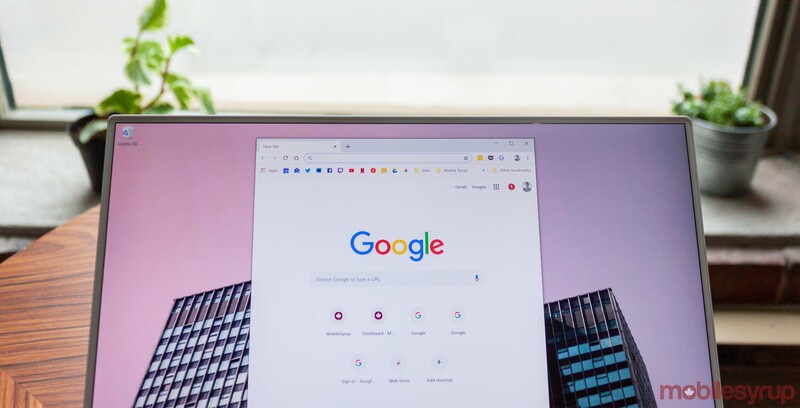 Google engineer Peter Kasting confirmed as much in a Reddit post, writing that the team is working on a dark mode feature for desktop. Further, Kasting was behind a bug post on the Chromium Bug Tracker concerning dark mode in Windows 10. Originally posted on May 2018, the bug description points out that Windows 10 allows users to set their apps to light or dark mode. “Chrome should respect this,” wrote Kasting. While there is currently no timeline on the release of dark mode for Chrome, we could expect it alongside the release of dark mode for Chrome on macOS. The dark mode feature is expected to appear in Chrome versions 72 or 73 on macOS, which are due out in January and March 2019, respectively. The main issue with implementing the dark mode so far has been Chrome’s ‘Incognito mode.’ Incognito traditionally has a dark appearance, so the Chrome team needs to find a way to differentiate browsing in dark mode from browsing in incognito. Ultimately, we should see a dark mode in Chrome on macOS and Windows early this year. It’s great news for people who like the dark theme. Hopefully, we’ll get a dark mode for Chrome on mobile soon as well. In the meantime, you can browse in Incognito or use a theme add-on on the desktop to give yourself a pseudo-dark theme. Update 01/02/2019: You can now enable the dark mode yourself if you want to try it on Windows. You’ll need to download Chrome Canary to make it work. 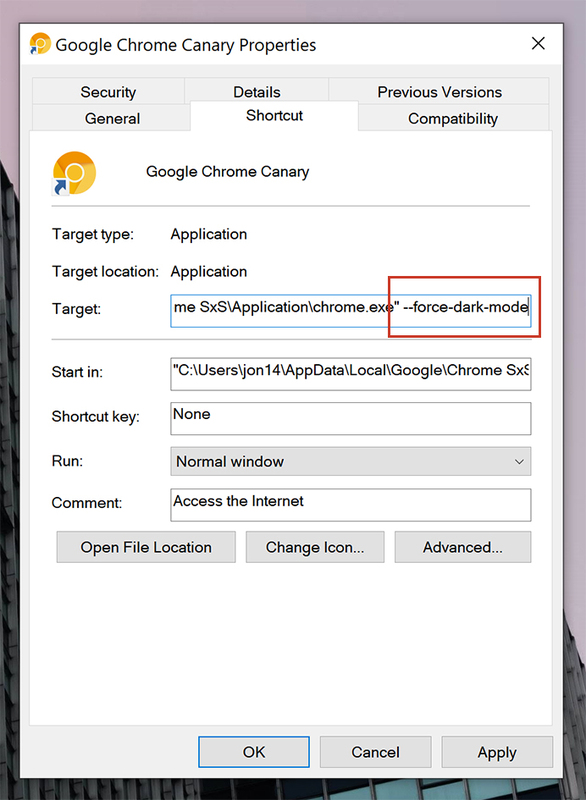 Once you’ve downloaded Canary, right click on the shortcut and select properties. Then, in the ‘Target’ field, add ‘–force-dark-mode’ without the quotations. Once you’ve done this, when you open Canary it’ll be in dark mode. A similar method may work on macOS as well. It’s also worth noting that the theme is unfinished. You can see that some of the menu text isn’t the right colour yet, for example. Other aspects of the dark theme may change with time as well.